Since we received our investment, assets under management have tripled and we have been able to take advantage of market dislocations at times when other investors were leaving India due to their guidance and encouragement. Since we started our partnership, our Company more than doubled in size while becoming more process driven and professional without losing our entrepreneurial culture. To help our partners meet their objectives requires the kind of expert guidance that can see and steer around the inevitable challenges of growing a business. WayPoint Capital Partners was founded to provide entrepreneurs and family-owned businesses with the expertise and resources of a traditional fund sponsor, but without a traditional fund’s limitations. We listen to your needs and provide a high degree of flexibility in structuring investments to meet your objectives. We continue to provide access to capital and expert resources through an efficient, transparent process throughout the life of the investment. 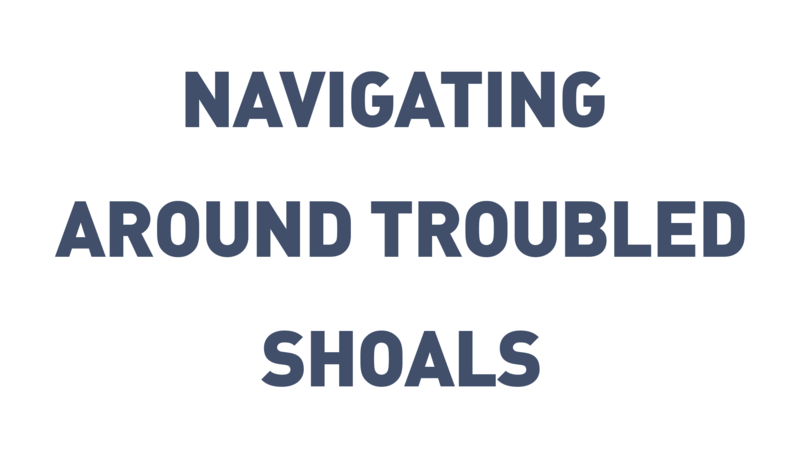 If there’s a bump in the road, as always happens, we’ll help you fix it. Lastly, unlike traditional funds, our decision to exit the business is never dictated by the need to get capital back to limited partners to raise another fund, but rather, based upon what is in the best interest of our management teams and portfolio companies. WayPoint Capital Partners is the direct private equity affiliate of Privet Capital, a family investment office for a cable and satellite entrepreneur. Because we invest our own capital and do not solely rely on third party investors, we are free from external influences that can interfere with growing businesses and focus only on creating long term shareholder value. In addition, we understand how to manage risk as over 50% of our investments are direct investments. In times of uncertainty, it helps to have a proven strategy that clearly defines your investment criteria and priorities. 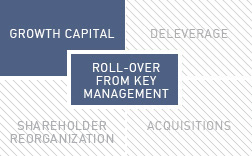 These four philosophies drive our flexible partnership approach in making investment decisions. 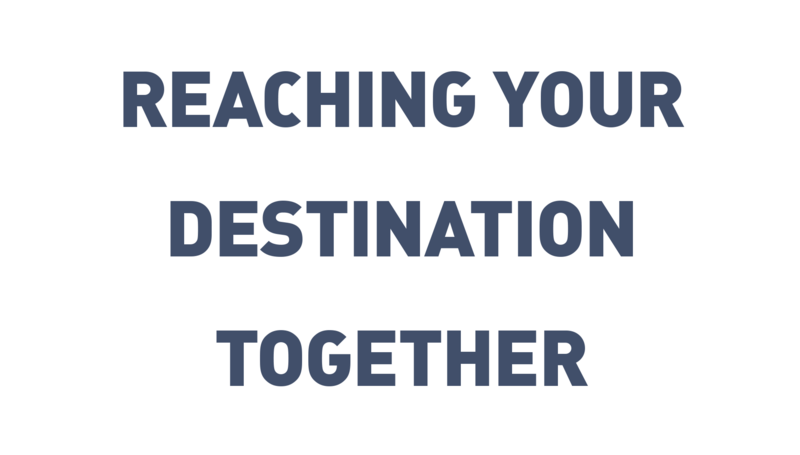 The Partners, John Henry Moulton and Thomas Drechsler, lead a network of experienced and highly motivated advisors who help you take your business to the next level and achieve success. 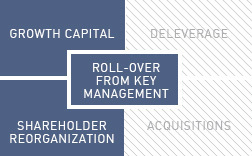 Prior to founding WayPoint Capital Partners, John Henry spent seven years at Veronis Suhler Stevenson (VSS) focusing as a generalist on mergers and acquisitions, leveraged buyouts and mezzanine investments. In addition to his interest in finance, John Henry has worked as an attorney focused on technology companies. He holds a Juris Doctor from Santa Clara University with a specialty in Technology Law and a BS from the University of California at Berkeley in Legal Studies. He resides in Greenwich, CT with three children, his wife and their dog. When he’s not helping business owners find their way, he’s usually pursuing outdoor activities with family and friends, like fly fishing, shooting, skiing and golf. Prior to joining WayPoint Capital Partners, Thomas was a member of Veronis Suhler Stevenson’s Private Equity Fund where he focused on new platform investments and creating value from challenged portfolio assets. Prior to joining VSS, Thomas was a member of Bear Stearns’ Mergers & Acquisitions Group, advising third party clients on transactions across a broad array of industries. Thomas holds a BS in Business Administration from the University of North Carolina at Chapel Hill. He resides in Miami, FL with his wife. When he’s not busy partnering with entrepreneurs or leading the execution of transactions, he’s busy fishing, golfing and hunting. Prior to joining WayPoint Capital Partners, Philip was an Associate at DW Healthcare Partners, a healthcare services and technology-focused private equity firm with $750 million in assets under management. At DW Healthcare Partners, Philip focused on making new platform investments and managing the fund’s current portfolio. Prior to joining DW Healthcare Partners, Philip was a member of Deloitte Consulting’s Merger & Acquisition Advisory Group, advising Fortune 500 clients on transactions across healthcare, technology, and a range of other industries. Philp holds a BA from the Kenyon College. 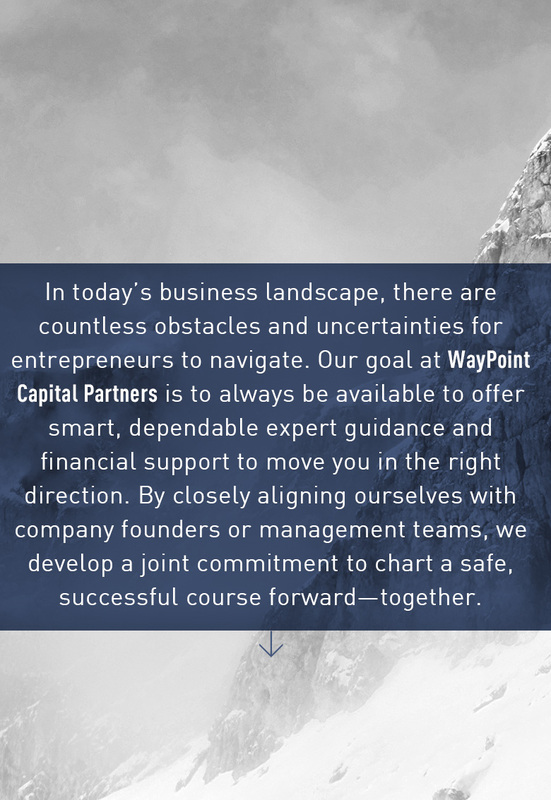 A partnership with WayPoint Capital Partners provides access not only to all the relationships of our internal investment professionals and advisors, but also to the wider investment community as a result of more than 100 fund relationships, spanning private equity and hedge funds, developed over the past two decades. Our goal is to bring all our relationships to bear to make you successful. For more details on relationships by industry, please contact us. 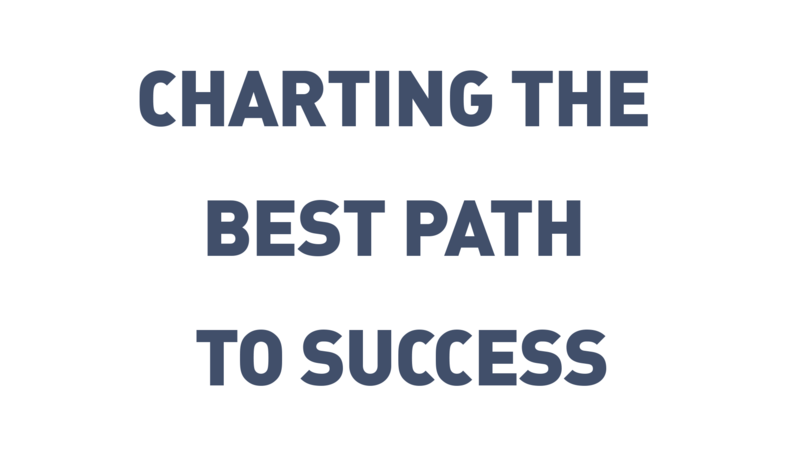 Our job is to better understand your needs and create a structure and support network to help put your business on the best path to the next level of success. To this end, we only focus on completing one or two high-quality opportunities each year that fit our criteria. While we focus primarily on mid-market deals, we are open to working with you in a variety of ways. After all, we figure life is too short to limit how we help smart, interesting people. Please choose which category below best describes your situation, see if it fits and give us a call. 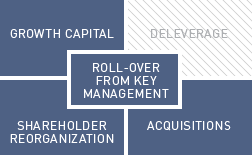 At WayPoint Capital Partners, we structure investments creatively tailored to the unique needs of each individual founder or company. We enable entrepreneurs and management teams to take the next step in the evolution of their business whether they want to take control or take a back seat, realize growth organically or through acquisitions, or set up a plan to retire. We’ll provide you with a full range of both liquidity and business planning needs, so give us a call. We are always looking to expand our relationship network of advisors and meet new people at WayPoint Capital Partners. If you’re interested in helping drive strategic or operational synergies in our portfolio companies, would like to mentor young entrepreneurs to become Fortune 500 CEOs, or can help source new opportunities for our firm, please feel free to give us a call. From time to time, in addition to doing middle market transactions, we help start general partnerships in markets we believe are interesting and can deploy capital. Besides providing capital, we also provide advice and introductions to other investors—having been in over 100 funds through Privet Capital. We’ll also provide liquidity for portfolio companies in partnerships during tough times to set valuation marks and can even bridge deals if GPs are in between fund raising cycles. Interested in getting your deal closed, funded and getting to work making your company successful? Having worked with fundless sponsors in a variety of different formats, WayPoint Capital Partners provides a compelling alternative for getting your deal closed, as opposed to working with other investors who do not provide, nor have the capability to bring, deal-closing resources. If you’re interested in learning more about the costs and benefits of establishing an in-house private equity team, then you should contact WayPoint Capital Partners. We’ve done it for over seven years with a single family office and can discuss in detail our successes and stumbles. We are open to discussing how to leverage our platform and yours to create mutual success in deal sourcing and execution going forward. When we work side-by-side with management teams and our partners to help grow their business through creative deal structuring and relationship networking, we create multiples of value in excess of the associated risks. Our goals are not only to do well for ourselves, but more importantly, for our partner management teams, as they will be our greatest reference and source of deal flow in the future. It’s a virtuous cycle. To get a better understanding of how our investment strategy successfully worked for one particular middle market growth equity investment, explore our case study of PS Logistics. To hear about more case studies, contact us. 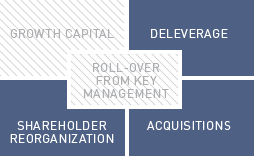 Most of our investments result from one of three or four different “use of proceeds”. 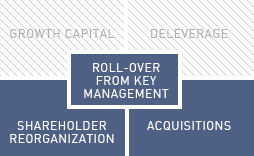 All of our investments include a significant amount of ownership from management and founders. Feel free to explore our select historical and current investments to understand how we solve the needs for each of our management team partners. PS Logistics is one of the largest and fastest growing flat-bed logistics providers in the U.S. focused on the success of its customers and drivers. The Company manages the movement of raw materials to customers’ manufacturing facilities for prominent blue chip companies such as Alcoa, Georgia Pacific and Owens Corning. Unlike traditional single solution providers, the Company has embraced the changing needs of its customers, providing multiple transportation solutions from using its company drivers, to its owner operators, to its brokerage division providing access to over 2,500 carriers. By combining non-asset backed services with its controlled fleet of over 1,600 tractors, PS Logistics is able to enhance customer relationships by offering multiple service options while guaranteeing service levels in times of capacity constraints. Harper Love Adhesives Corporation is a manufacturing company engaged in the distribution of adhesive chemicals to the global corrugated packaging industry. With the largest and only technical service force in the industry, and the dominant market share in North America, the Company serves 264 corrugating plants and 82 customers in North America and another 77 corrugating plants and 44 customers globally. A key benefit of the use of liquid additives in the box manufacturing process is the ability to increase line speeds and improve paper bonding, lowering production costs to the manufacturer. In addition, corrugated box manufacturers are moving from the purchase of virgin fiber to recycled fiber to lower costs in the manufacturing process. Recycled fiber has lower bonding properties than virgin, thus providing an increased need for liquid additives. Houghton Mifflin Harcourt Company provides education solutions for educational institutions and consumers worldwide. It delivers content, technology, and services to approximately 50 million students. The company operates in two segments, Education and Trade Publishing. The Education segment develops, publishes, and markets various comprehensive curriculum programs that focus on reading, literature and language arts, mathematics, science, world languages, and social studies for the pre-K-12 market, along with comprehensive intervention solutions for assisting English language learners, as well as products providing incremental instruction in particular subject areas. Micromax Informatics Limited is one of the leading consumer electronics companies in India and the 10th largest mobile phone player in the world. Over the past decade, Micromax has pioneered the democratization of technology in India by offering affordable innovations through their product offerings and removing barriers for large scale adoption of advanced technologies. Micromax is currently the 2nd largest smartphone company in India and differentiates itself through innovation and affordability. The Company was the first to introduce smart phones with 30-day long battery life to rural India, plus dual sim card features for tablets. Micromax is a brand which is close to the heart of India’s youth and celebrates the vibrancies of life and empowerment. Established in 2010, Coupang has become one of the leaders in mobile and e-commerce in Korea, surpassing $1.0 billion USD of GMV in its first three years of operations. The company started by offering daily deals on services, but quickly expanded to partnering with merchants and selling physical goods. The Company is poised to be the dominant e-commerce player in Korea and has achieved its growth by consistently innovating new services that benefit the customer experience, such as a compelling mobile shopping platform, same-day delivery, and personalized recommendations. 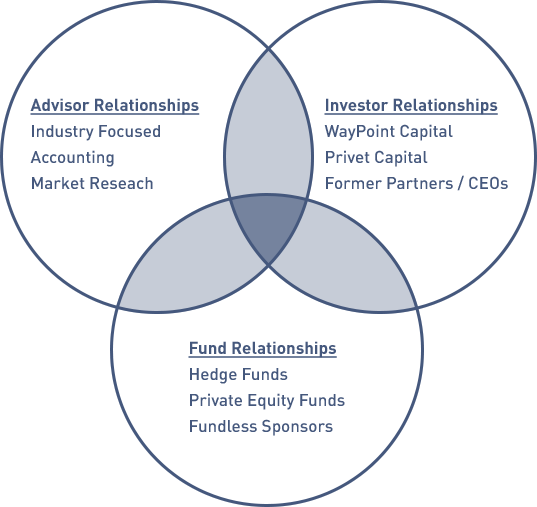 iYogi is a leading provider of online technical support services to consumers and businesses across a wide range of computing and communications devices, as well as software applications. Leveraging its Digital Service Cloud technology platform, the Company delivers support services to millions of customers globally and its services are available on a 24/7 basis, 365 days per year. The Company serves customers in the USA, UK, Australia, UAE, India and Singapore. Francis Drilling Fluids, Ltd. is one of the oldest drilling fluids companies on the Gulf Coast with a 30+ year operating history. FDF is a leading drilling fluids supplier and proppant distributor to major service companies and independent E&P operators using 20 terminals and 10 rail-spurs to service its customers on a national basis. Its state-of-the-art equipment assists in maintaining highly qualified and motivated staff members who facilitate superior customer service. In business for more than 100 years and employing more than 1,200 people in more than eight facilities, AAC is recognized as one of the nation’s oldest and largest distributors of commemorative jewelry and recognition products. AAC’s products are available through a variety of distribution methods, including direct sales to students in high schools and college bookstores, national jewelry retailers, independent jewelry stores and mass merchandisers. A leading provider of software and services for cyber breach and identity fraud protection, with a specific set of solutions for the healthcare industry. Over 3 million individuals in the U.S currently use the Company’s MyIDCare identity protection solution, which is designed to protect individuals and families from all nine types of identity theft. The Company’s identity recovery experts have a 100% success rate to ensure fast, complete identity recovery. The fastest-growing integrated Medicare Advantage health plan and healthcare delivery network in South Florida, focused on dual-eligible members. HealthSun serves over 37,000 members, offering a unique delivery model that provides tighter care coordination through primary care, pharmacy, transportation services, a narrow network of specialists, and integrated medical cost management. A leading Southeast-based provider of durable medical equipment rental and services to the hospice industry. The DME Express management team has over 100 years of hospice and nursing facility experience and understands the unique needs of its customers. In addition, DME Express has developed a proprietary software platform, which enables the company to provide consolidated data and analytics to its customers. Inception Fertility is a tech-enabled operator of fertility clinics throughout the State of Texas. Inception is led by a seasoned team of entrepreneurs with a successful track record of utilizing technology to scale healthcare services platforms and enhance the patient experience. Global Restoration Holdings provides disaster restoration, reconstruction and renovation services for residential, industrial and commercial property in response to general loss and catastrophic events. Global Restoration Holdings is formed through the merger of Interstate Restoration, based in Fort Worth, Texas and FirstOnSite Restoration, based in Mississauga, Canada, two existing portfolio companies of Delos Capital. With this combination, Global Restoration Holdings is the second largest provider of restoration and reconstruction services in North America, with a diversified footprint across the U.S. and Canada. Simple Contacts is a leading mobile-based technology platform designed to make renewing contact lens prescriptions easier for consumers. The company offers a proprietary eye exam which is then certified by a network of affiliated optometrists, then enabling the consumer to order contact lenses directly on the platform.